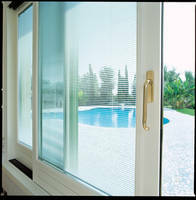 Manufactured from carbon steel in 0.125, 0.250 and 0.375 in. and in metric lengths 3, 4, 6, 8 and 10 mm. 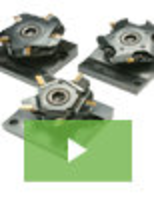 Designed to permanently mount on PCBs that enable quick attachment and removal of stacked components without using tools. 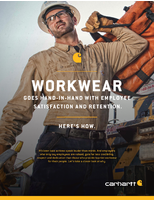 Offered in barrel design that allows for stacked board or panel to be slipped easily into place and detached by sliding the components sideways and lifting off. 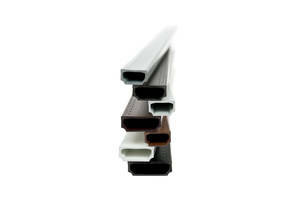 ECO Standoffs are suitable for public spaces. 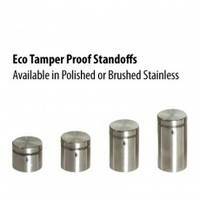 Frameware’s ECO Tamper Proof Standoffs are offered in polished stainless (PSS), brushed stainless (BSS) finishes. Units use set screw for locking the cap after installation. Each standoff comes with #6 flathead screw and drywall anchors. 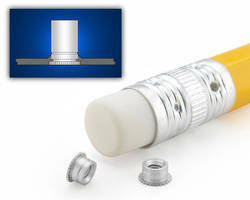 microPEM® MSOFS™ Flaring Standoffs are compliant to RoHS Standards. 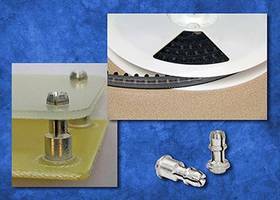 microPEM® MSOFS™ Flaring Standoffs feature can be installed permanently into stainless steel, plastics and printed circuit boards. Units are available in thread sizes #0-80, #2-56, and M1 to M2 with reusable threads and are suitable for wearables, laptops, tablets and eReaders, smartphones, automotive electronics applications. PEM SMTSSS ReelFast SNAP-TOP Standoffs are made of carbon steel material. 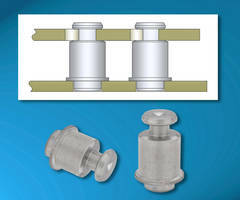 PEM® SMTSSS™ ReelFast® SNAP-TOP® Standoffs are used to secure print circuit boards in assembly. 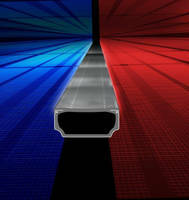 These unthreaded units are available in unified lengths of .250 in. or .375 in. and metric length of 6 mm, 8 mm or 10 mm. 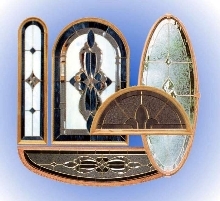 Products can be used with boards and panels of .060 in and 1.53 mm size. 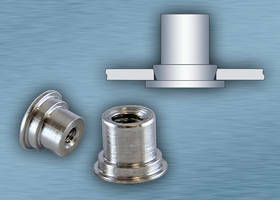 Standoffs are compatible with SMT automated installation equipment.